Start your NLP & Coaching journey with us. Would you like to create extraordinary results? Study with us and we will teach you the know-how. Our highly qualified team will give you the best possible NLP training. Put your dreams into action by evolving to the life you desire. The primary focus of this programme is to understand the structure of NLP and teach you the tools of how to access powerful new resources and skills. As you learn how to integrate these with the resources you already have you will be able to enhance many areas of your life including relationships, career, health, personal development, communication, parenting, leadership and motivation. The style of training enables you to absorb and register how you develop and transform as you are learning. The training is presented in a generative learning mode (learning to learn). This method teaches how to use what you already know, and to learn more of what you wish to learn faster and implement it in your daily life immediately. NLP provides specific strategies for achieving your dreams. Learn how to use “Anchoring”, “Strategies”, “Submodalities” “Internal Programming” and the “world’s most powerful and effective skills” to change whatever it is that is holding you back at a deep unconscious level. Although certification is important, the skills gained are what really enable you to hit your peak! Why become a Certified NLP Practitioner? Nordic NLP will teach you to use the attitudes, principles and techniques of NLP. The training is developed and delivered to benefit you at multiple levels both personally and professionally. Whilst studying NLP with us, you will learn more about your own personal patterns of behaviour and how to change them for greater success in life. You will learn in an environment that is safe and supportive with experienced multiprofessional trainers that are highly ethical and compassionate individuals - with your best interests at heart. 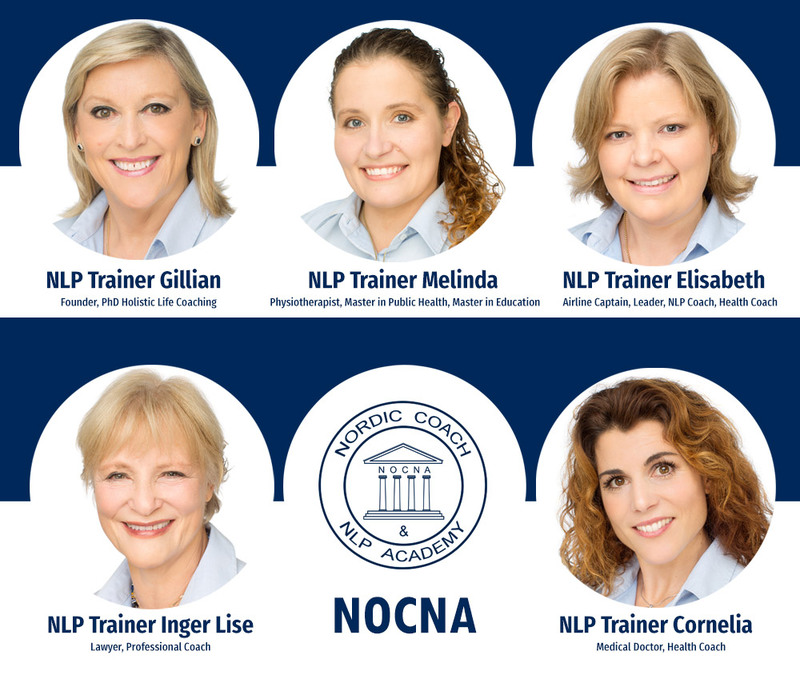 All trainers are accredited by The Norwegian Association of Coaching & Neuro Linguistic Programming and trainer members of The Association of Neuro Linguistic Programming International. How long is the NLP Practitioner training? It is 6 days live training. Before you come to the live training you will take an accredited online NLP Diploma course which is included in the price. The learnings covered by the NLP Diploma count towards the required hours for this level of certification. Metaphor utilisation - Learn the power of the "World's most ethical way of doing therapy"
Yes it is. We are a provider of NLP trainings accredited by The CPD Standards Office in England. Your trainers are all Trainer Members of The Association of Neuro Linguistic Programming International. All are accredited by The Norwegian Association of Coaching and NLP (NFCN). Upon certification as an NLP Practitioner you will also receive a certificate awarding you 80 CPD points. Call us for a chat on +47 922 111 69 or contact us on the chat function on our page. You can also book on directly by sending an epost to post@nordicnlp.com.